Ever wonder what makes you and your friend so compatible? Think it could have anything to do with your astrological sign? It may! And may even lead you to consider other personalities that make for some great new friendships. Okay, perhaps it is because I am single (oh, who am I kidding – of course it is because I am single), but I regularly check out the “Are You Compatible with Him” section of my favorite astrology site. 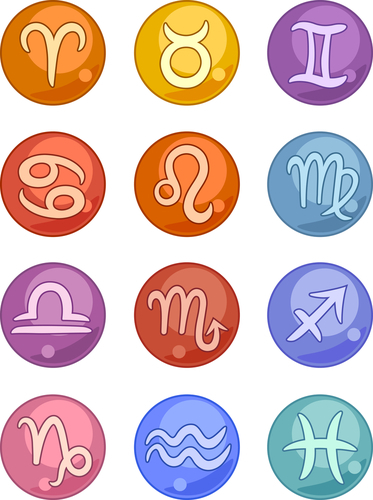 This tool takes your astrological sign (mine is Pisces), and then provides a description of the pluses and minuses of a romantic matching between you and fellows from all the other signs. If the answer is “Nope, not even a little,” well I’d probably still accept a date, but might remember the warning if things go awry. If the answer happens to be “Yep – absolutely soul mate material,” well then I pull out my super special black pumps, making sure to give this date my best efforts. Apparently, I should be looking for a Scorpio to set my heart on fire or a Libra to pamper me, but keep a safe distance from any Taurus or Aquarius men (ultimately, I’ll be bored with both). Anyhow, this whole compatibility thing got me thinking—if the stars can predict the birth month and personality traits of my perfect romantic match, can they also guide me to those who will make an especially good friendship match? As a Pisces, so say almost all of the more popular sites, I’m creative and emotional and a place a great deal of value in friendships (yep – that’s why I started SocialJane.com after all). Additionally, as a Pisces, I’m also a prone to live in a fantasy world, arrive late, and tend to be completely wishy-washy in terms of commitments. (fantasy – yes; late and wishy-washy – not so much!) Because of my personality traits, friendships with Scorpio and Cancer gals would seem to be the most natural, as each of these signs tends towards the emotional. However, and this is the beauty of this whole astrology friendship matching concept, turns out Virgos and Sagittarians are the better fit, as they compliment rather than share similar personality traits. See, generally speaking, when connecting with new friends, we seek out those with whom we share many commonalities. Things like the fact that we both like to play Scrabble online, believe that Meryl should have won all 19 of her Oscar nominations (she has won two), and prefer sweet to salty snacks any day. We look for the familiar when seeking new friends, assuming that if they match us, then they’ll “get” us. And while having things in common with someone is a great starting place for finding new friends, the foundations of a new friendship (or any friendship for that matter) are based on support, interaction, and a similar value in terms of friendships. Said another way, the fact that you both love tennis is a great way to meet new people. The fact that you both love tennis and believe that friendships are a mutual means of support and encouragement, a priority, and a great source of enjoyment is how friendships are formed. You meet someone through a common interest; you form a friendship because of your shared beliefs. So, the benefit to checking out the stars’ advice on whom to connect with for a new friendship is that it may make you reconsider (or even just consider) someone whom you wouldn’t have initially seen as a good friendship fit. Nope, Cathy doesn’t like to workout, but she is a wonderful listener and more often than not, she comes up with some great advice on life. And Barbara is a bit more high-strung and emotional than you, but her joie de vivre is infectious and the cause of more than one night of complete hilarity. Interested to see whom you should be connecting with, astrologically speaking – check out the sites below. Oh, and if you happen to know any cute Scorpios or Libras …. !